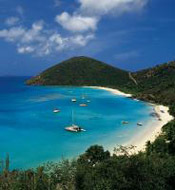 St. Thomas day sails, Caribbean sailing, snorkeling, and boat charters in the beautiful US Virgin Islands! Looking for a St. Thomas sailing and snorkelling day trip or shore excursion? 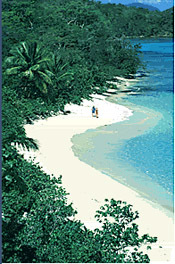 Take a snorkel and sailing trip to our wonderful reefs in our crystal clear water. 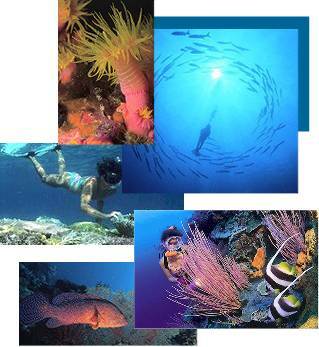 Sea life is abundant and colorful, and the scenery is spectacular. Our skilled crews will guide you through this glorious area aboard one of our modern yachts. 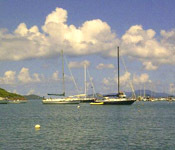 Take a Day Sail/snorkel trip to St John aboard either of our mid-sized boats, Slo Dancin or Forever Young. Enjoy an exclusive luxury sail or sunset cruise. We will customize the day to suit your needs. Your day sail will take you from St.Thomas to the St. John National Park or surrounding cays. We tailor your sail to maximize your enjoyment. Fun is our priority! Enjoy snacks and beverages as you sail the beautiful waters of the Caribbean. We offer a wide selection of ice cold beer, sodas, bottled water, rum punch, champagne and some mixed drinks. You can swim, sun, snorkel and beach comb as your elegant full lunch is being prepared by the crew. Special dietary meals available on advance request. Our popular St John snorkel trip sells out well in advance. Book soon so you won't be disappointed. To reserve your spaces, you can either phone us at (340)626-8641 (send us your phone number and we'll call you) or email us at captainkim@interlinesail.com. A credit card number will hold your places. Bookings on a non-exclusive basis may be made for parties of 2 or more at a cash price of $140 per person. Morning and afternoon departures from Red Hook. 4 hours duration, aboard Slo Dancin or Forever Young. Includes bountiful snacks, bottled water, soft drinks, cold beer, rum punch, and complimentary champagne! Snorkel the Virgin Islands National Park at St John or local snorkel sites. Depart Red Hook early in the morning, have a beautiful sail to Jost, then anchor in one of the many crystal clear bays where you can swim, sun and snorkel. Go ashore to one of the many bars and restaurants and experience the island flavors. Lunch on your own; the day is yours to enjoy. We will sail back and have you on the dock in Red Hook by 5:30 PM. This is a fun filled day - don't miss it! Contact captainkim@interlinesail.com or (340) 626-8641 to reserve your special day on the water.